Zebra 25X254 Z-BAND Fun Wristband 6 Pack - Pink. 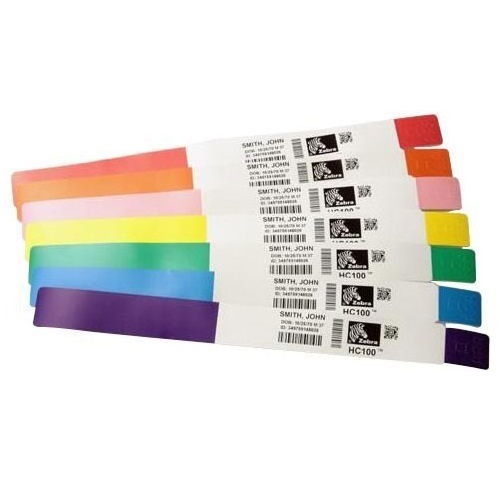 The Zebra 25X254 Z-BAND Fun Wristband 6 Pack (Pink) is a direct thermal wristband for 1-day use at amusement parks, carnivals, sporting events, and concerts. IT features an adhesive tab for securement.